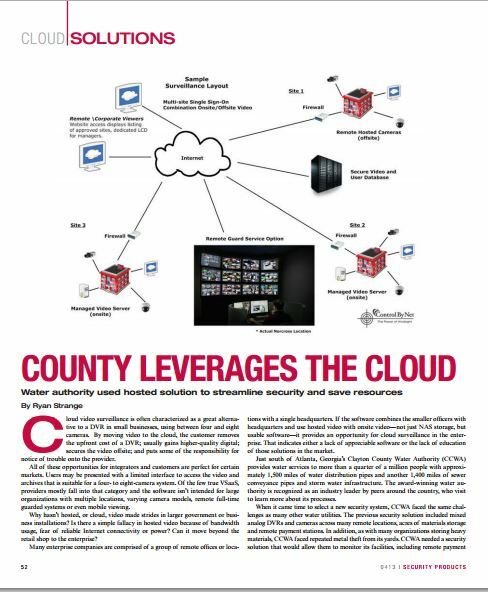 ControlByNet continues to see growth with its i-flashback CLOUD solution. The following article on Security System News by Leif Kothe projects rapid growth in the video surveillance market. With the technology becoming ever more sophisticated, video surveillance systems are on the verge of becoming an indispensible component of security systems worldwide. In the coming years, the growth of the North American market is expected to reflect that reality. “The ongoing market trend suggests that in the coming years there will be a massive proliferation of IP cameras in the market, thanks to the high image quality and low power consumption in such cameras,” Ravi Baid, technology practice head at BIS Research, told Security Systems News. Wishing you a very Merry Christmas from ControlByNet! It’s Christmas week and hopefully most of the work is done for everyone this year and you can enjoy the holidays with family and friends. Be sure to check your ip surveillance cameras to see when Santa arrives at your house. Does Santa like your cookies or does he feed them to the reindeer. Is Rudolph part of the team this year? Please report back and let us know what Santa is up to at your home or business. Merry Christmas and and a very Happy New Year! i-flashback CLOUD enables users to view one or multiple properties over any web browser including smartphones and tablets through a single log-in. With i-flashback CLOUD, recorded video is safely stored immediately off site. There is no ‘store and forward when convenient’; with i-flashback CLOUD, it is immediately safe and secure. 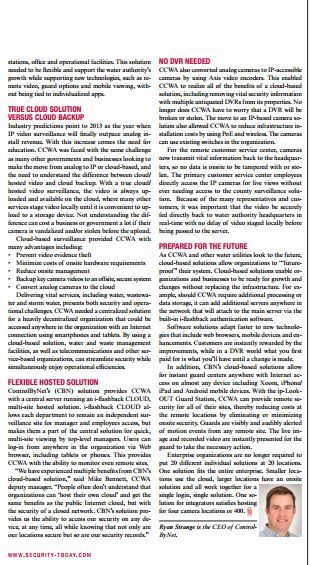 ControlByNet, a leader in cloud-based, hosted video security surveillance solutions, announced today support for certain Bosch IP cameras in ControlByNet’s i-flashback and its companion ip-LookOUT guard station solutions. ControlByNet’s addition of Bosch IP cameras is in direct response to customer requests to take advantage of the Bosch IVA features for advanced analytics to reduce false alarms such as clouds and rain. Ryan Strange, the President of ControlByNet, is an expert contributor to S ecurity Today Online and Security Products Magazine. You are currently browsing the archives for the Control By Net category. The video surveillance field utilizes cloud-based technology to provide a much more complete and effective security solution for the small business all the way to the enterprise organization.